In a class of their own, ANGOSTURA® bitters are the essential ingredient in some of the world’s most famous and best loved drinks. 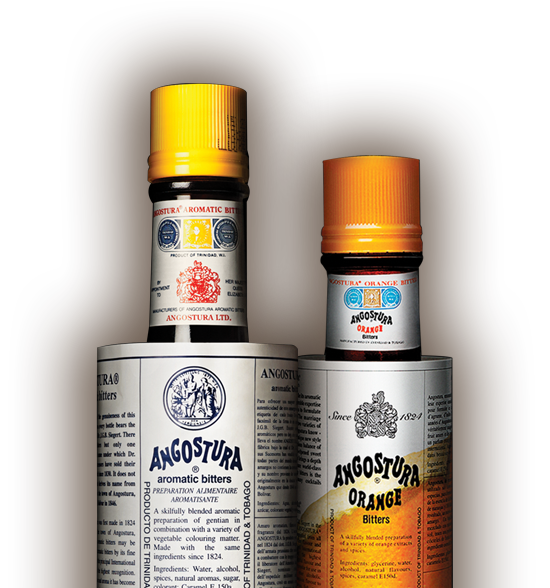 Made with the same original secret recipe since 1824, the world famous ANGOSTURA® bitters was originally used as an elixir to cure soldiers’ stomach ailments. The first cocktail recipe calling for ANGOSTURA® aromatic bitters was published in 1831. The rest is history. Creating wonderful layers of flavour, and bringing balance to cocktail and food recipes since 1824, ANGOSTURA® bitters are a mainstay behind the bar and in kitchens across the globe. A celebration with friends or family. A simple feeling of a well spent day. A staple in every bar and kitchen, a dash of ANGOSTURA® bitters adds a little magic every time.